This is the Welcome Email that you should receive after a successful sign-up process. 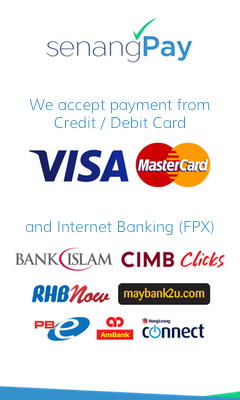 A million thanks to you for choosing senangPay as your Online Payment Gateway. Here are 7 things that you need to know to fully utilize senangPay. Congratulations, you can now immediately login to senangPay Dashboard and start using senangPay for your business/personal use. 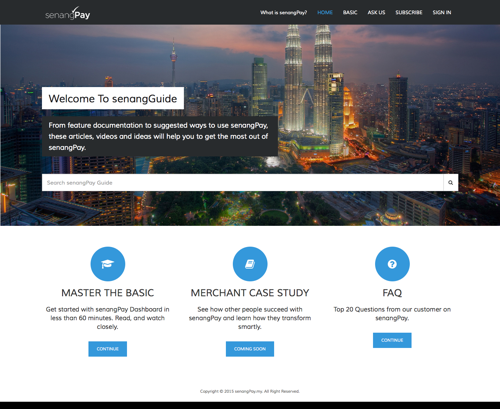 Spend less than 60 minutes to read all the tips and instructions to use senangPay from our senangGuide. Follow our announcements and latest happenings from senangBlog or from our Instagram. Furthermore, don’t forget to LIKE our Facebook page and follow our Twitter so that you are always up-to-date with our latest news and highlights. 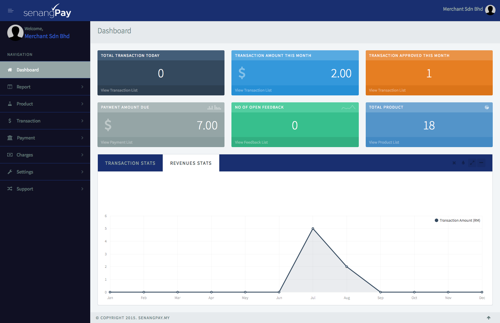 If you have any inquiry, simply login to your senangPay Dashboard and open a new ticket. Our support team will reply to you as soon as possible. 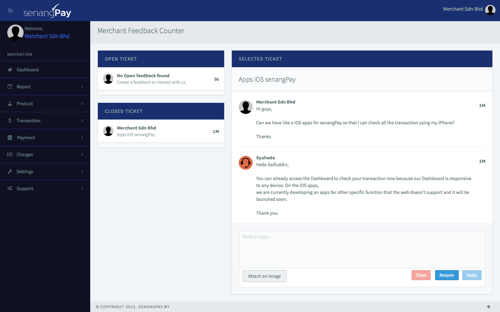 You can even open a ticket to say how much you love senangPay. We appreciate all the support & feedback. Read here. Last but not least, please kindly answer our questionnaire so that we can improve senangPay and serve you better. Not many, just 7 questions only. We wish you good luck for your business/personal pursuits and we do hope your sales will increase tremendously. Our RINGGIT currency strength might not be as strong as before and we should use this opportunity to improve our financial strength and indirectly contribute to our nation’s economy.